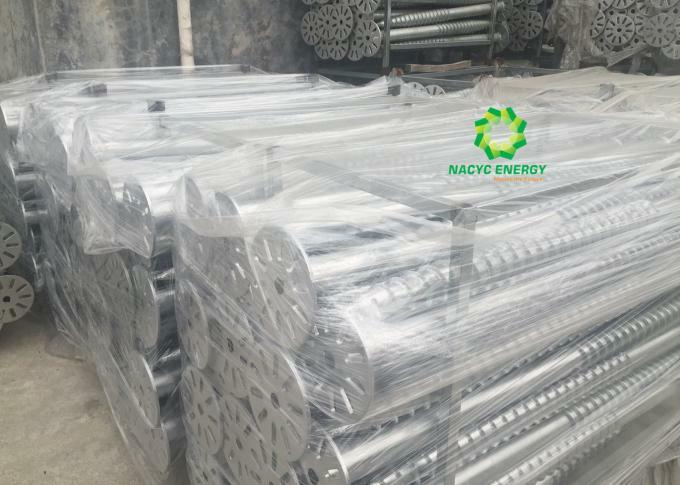 Ground Screw Piles is the preferred foundation in many applications, such as Photovoltaic Solar Farm construction, Timber-frame Housing, Timber Decking, Street Light and Fence construction, Temporary Site Accommodation, Bill Board/Advertising Signs and many more applications. 1. Compatibility with all type of structures. Our technical department will adapt the head of our ground screw piles to whatever the need of the customer is. As a factory owned ISO 9001 certificate, we can provide high quality steel ground stakes with critically inspection. 3 . Foundation solution concrete free. Easy installation by spiral pilling machine, no digging, no concrete, no waiting, much convenient, cost effective, time saving and environmentally than concrete foundation. 4 . Surround areas remains unspoiled. The special configuration of our product allows the insertion without performing land preparation works, which allows a significant cost reduction. 5 . Convenient remove, simple and easy to relocate. 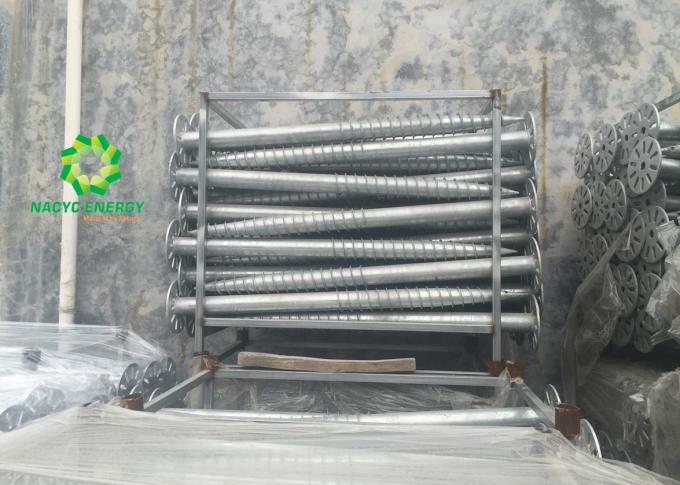 One of the main advantages of our ground screw piles is the possibility of removing them, reducing the environmental impact and minimizing the removing costs. You can provide us your drawing, and we will produce as your drawing.Or we can design as your requirements if you do not have a clear plan. It depends on order quantity. Generally, the delivery time will be within 10 to 15 days. 4. How about our product quality? 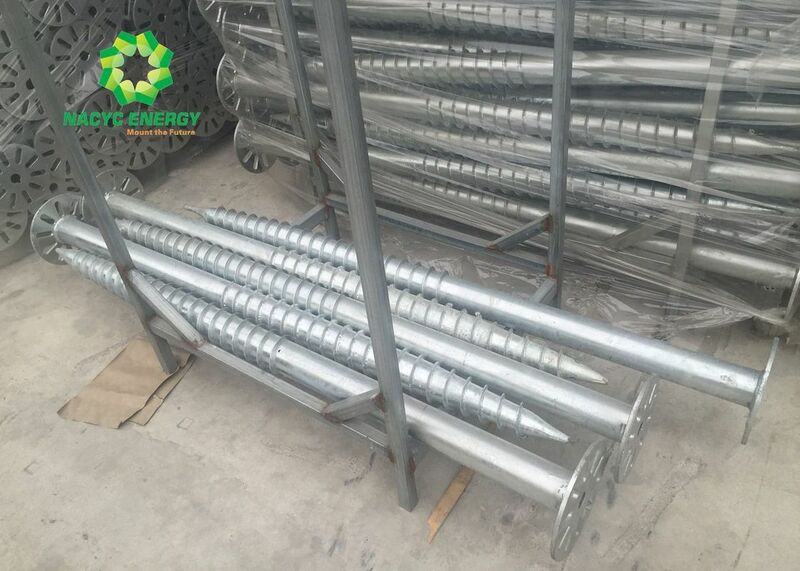 Our ground screw piles are manufactured with first quality materials (hot dip galvanized complying with the ISO). 5. What is steel quality? This system is built from Q235 steel conical pipe with welded blades, and can be applied in a wide variety of different geological locations. 6. What is the thickness of galvanization? 7. Can we install power screw by ourselves ? Of course. We will provide installation guide to every customer. 8. How to order from Nacyc Energy ?